Financial statements are a fundamental management tool for businesses, nonprofit organizations, and financial institutions. A financial statement provides insight into your entity’s performance and operations, and it is often required to receive funding from lending agencies, government programs, and investors. They can also serve as an excellent opportunity to evaluate the effectiveness of your internal controls and to potentially improve your organization’s financial performance. The audit process is constantly evolving. Organizations require different approaches based on their unique conditions and requirements. We cater to the evolving needs of our clients. We work hard to anticipate your needs and to develop a customized approach based on technical accuracy, industry expertise, reliable responsiveness, and excellent client service. What: An audit is an independent examination of an organization’s financial statements and related note disclosures. It provides the highest level of assurance that the financial statements are accurate and compliant with the applicable reporting framework. Why: Audits provide assurance that the entity’s reported financial statements can be relied upon by management, ownership, lenders, granting agencies, or regulatory agencies. How: Performing an audit involves planning and risk assessment by gaining an understanding of the client’s business and industry. We tailor our audit procedures to each client’s specific needs, ensuring your financial reporting is correct while also minimizing disruption to your daily operations. 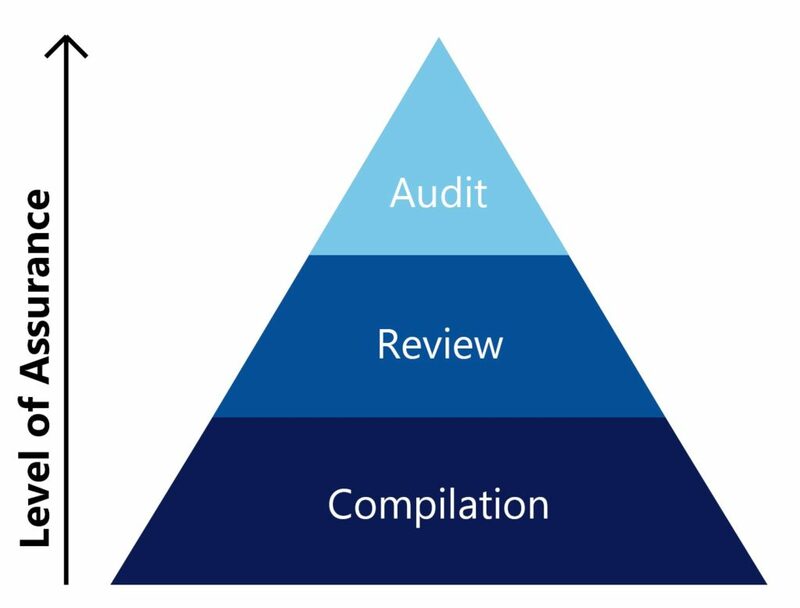 What: A review engagement is less extensive than an audit, providing limited assurance that financial statements do not require any modifications to be in compliance with the applicable reporting framework. Why: These are useful when an organization requires some level of assurance about their financial statements but not the level of assurance provided by an audit. This may be due to the size of the entity or the familiarity of the entity requiring the assurance. How: Performing a review involves understanding the client’s business and environment. We use this understanding to review your financial statements and analyze them using applicable accounting guidance. What: A compilation is conducted to present your financial data in the form of a financial statement that can be easily reviewed by your stakeholders. In this type of engagement, we do not offer an opinion on the accuracy or completeness of the statements. Why: This is the least expensive attestation service we provide, and is primarily used by management and owners to make decisions and plan strategically for the future. How: We take your financial records and compile them into a presentable format using the applicable accounting guidance. What: The entity and a CPA firm agree upon a list of procedures that can be used for single transactions, regulatory compliance, or other functions. Why: This can be used to investigate possible cases of fraud within a business or to conduct due diligence. How: We come to an agreement with the client regarding the exact procedures to be performed to meet the requirements. These procedures would then be performed as agreed, and any exceptions or errors would be reported to the specified parties. We provide a variety of other assurance services customized to the unique qualities of your organization and industry. We have extensive experience providing process and control reviews, during which we assess the internal control structure of the process and identify control points. We then test these control points to ensure compliance with the established process. We look at the processes involved from an overall level to establish if there are additional controls which could be added to maintain integrity, or if there are redundant controls which can be removed to increase efficiency. We also have expert capabilities in due diligence procedures and custom engagements to address issues such as changes in finance staff and weak control areas. We provide audits for employee benefit plans to ensure the plan is compliant with Department of Labor ERISA regulations and that it is being operated correctly and within applicable regulations. As part of our commitment to performing high-quality employee benefit plan audits, we are a member of the AICPA Employee Benefit Plan Audit Quality Center (EBPAQC). A single audit is a rigorous audit for an organization that spends $750,000 or more in federal assistance annually. We perform audit procedures on federal programs to verify that the internal control system is working properly and that the operations comply with applicable law and regulations. We provide audits for municipalities under Government Auditing Standards to provide taxpayers, legislators, and others with useful information to aid in the decision-making process regarding governmental entities. We are a member of the AICPA Governmental Audit Quality Center, which provides us with valuable resources pertinent to single audits and audits under Government Auditing Standards. A client in the communications industry was experiencing significant growth and purchased a new venture in Hawaii. The transaction was financed with the help of several institutions, which required audited financial statements on a short deadline. 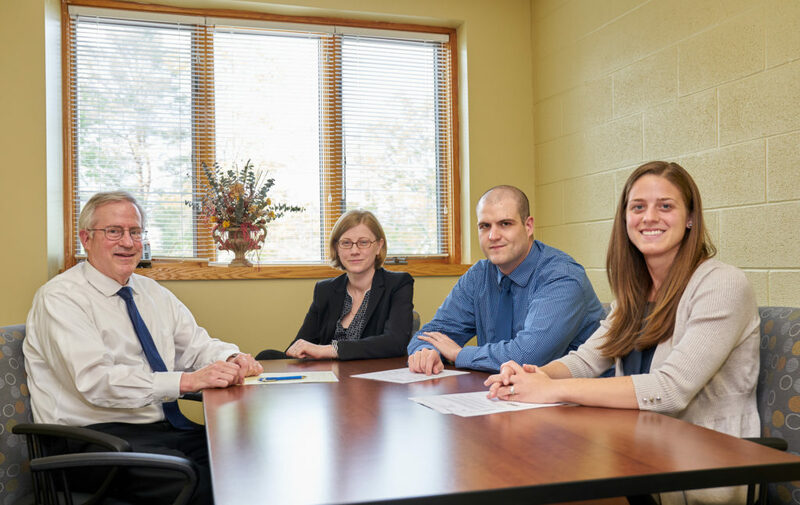 Sciarabba Walker quickly put together a team to help the client collect all necessary information and guide them through the requirements of the audit. We efficiently handled additional complications; for example, several involved entities were located in different states, and the related-party transaction had to be properly recorded and reported. To the satisfaction of the client, the process was smooth and the audit was completed in a timely manner. A nonprofit organization operating in the health care industry was struggling with how to maintain appropriate controls over financial reporting, and it experienced significant year-end adjustments as a result of audits of their annual financial statements. As the auditor, we obtained an understanding of the organization’s internal control system as an important part of the annual audit process. Sciarabba Walker prepared several management letter comments with suggested improvements to the internal controls and guided the client in implementing them. Significant progress was made after the first audit, and each subsequent year added additional improvements. Management and the board of directors can now make operating decisions based on reliable monthly reports. We will continue to update our understanding of the internal controls and make recommendations annually.